Bradley Doucet is QL's English Editor. A writer living in Montreal, he has studied philosophy and economics, and is currently completing a novel on the pursuit of happiness. Liberty is won and preserved not primarily with guns, but with ideas. Spreading freedom requires that we spread an understanding of the benefits freedom brings, that we explain to whoever will listen how freedom is really in everyone's best interest. In making the case for a truly free society, however, we will inevitably come up against a wide array of illiberal beliefs that keep others from embracing our vision of a better world. The more we seek to understand those beliefs, the better we will be able to counter them and address the concerns that underlie them. In this ongoing series, I address some of the issues we can expect to face, along with brief outlines of the kinds of responses I think can be helpful. When US Presidential Press Secretary Robert Gibbs lost his temper this past week, railing against his boss’s left-leaning critics and saying, among other things, “They will be satisfied when we have Canadian healthcare,” it was a burn felt across the nation. Those same critics fired back and suggested Gibbs take a permanent vacation. This prompted the Press Secretary to apologize and promise to play nice from now on. What I did not notice in the backlash were very many of those critics saying, “Hell yes, we want Canadian healthcare!” A few probably did, and if I tried harder I could probably find them, but that wasn’t the message percolating to the top of the news cycle. My guess is that our problems (waiting times, doctor shortages) are as well known to them as their problems (soaring costs, the uninsured) are to us. Large segments of the populations on both sides of the border seem perfectly happy to play up this false dichotomy, when in fact, there exists an option that would trump both systems handily: an actual free market in health care. Of course, many people fail to realize that the American healthcare “market” has been hamstrung by an ever-growing tangle of regulations for three quarters of a century now. But beyond this, there is a widespread notion that must be combated, especially here in Canada, before a truly free market in health care could ever again become palatable to anything more than the libertarian fringe: the notion that it is wrong to profit from the misery of others. The antagonism toward business owners making a profit is grounded, I am convinced, in the notion that businessmen and businesswomen don’t really do anything. They are not the ones assembling parts on the factory floor, or manning the phones in the call centre, or cooking for and waiting on rowdy customers in a bar. They just sit back and rake in the surplus value created by their exploited employees, to put it in Marxist terms. 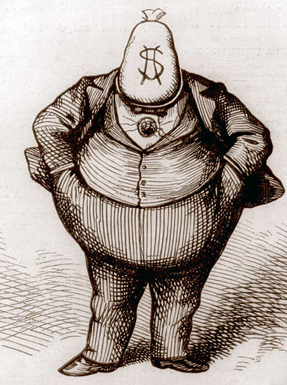 The reality, though, is a far cry from this caricature. Business owners are the ones who organize all of the different factors of production according to their best judgement of the demand for their products or services and the supplies of sundry inputs. And it is their accumulated wealth on the line if they misjudge any of these elements. If this is truly worth nothing, then workers are free to organize themselves and stop getting ripped off! The situation is a little different with large corporations where shareholders and investors delegate their organizing duties to professional managers. They are being paid solely for the risk they take with their accumulated wealth. Anyone who objects to this in principal, though, is basically objecting to the idea of earning interest. But why should someone who delays his own enjoyment of his wealth and risks losing it altogether not be compensated? And just on a practical level, how much saving and investment would occur if, in accordance with the ancient law of Moses, it were forbidden to collect interest in return for delaying one’s gratification and risking its loss? There are people, though, who understand all of the above—who think that it is both right and practical to reward owners, managers, and investors for their work and trouble and risk—and yet still feel funny about the idea of profiting from the misery of others. Normal profit is okay with them, but profiting from other people’s misery just feels wrong. There is a sense, of course, in which doctors and nurses profit from the misery of others. They do so by receiving payment for their services, and none but the most diehard socialist begrudges them this. But if it is acceptable for doctors and nurses to benefit from the misery of others through the earning of wages, why would it be unacceptable for the owners of hospitals, insurance companies, and pharmaceutical companies to benefit through the earning of profits, or for investors and shareholders to benefit through the earning of interest? For someone who understands the general rationale behind profit and interest outlined in the previous section, what reason is there to conclude that in this case, they’re bad? Perhaps the very phrase “profiting from the misery of others” is to blame. It makes it sound as if someone is gaining while someone else is losing. But of course, this is not the case. Doctor and patient both gain when patients get treated and doctors get paid. It’s a win-win situation just as clearly as when I get milk from my grocer and he gets paid. The owner of a hospital, then, benefits its patients in the same way as the owner of a grocery store does. We have another, different phrase to describe the situation of someone gaining and someone losing: it’s called profiting at the expense of others. That is something worth condemning—and workers, owners, and investors in such activities as grand larceny, for instance, deserve our contempt. But alleviating suffering is a valuable service. Not only those who provide the service, but also those who organize the factors of production involved in its delivery as well as those who lend their wealth to finance it, deserve all the rewards they can earn from voluntary participants in a free, competitive market.